Malaysia’s parliament on Thursday repealed a law against “fake news’’ introduced this year by the administration of former Prime Minister, Najib Razak. Najib’s government secured a simple majority in April to pass the Anti-Fake News 2018 bill, which set out fines of up to 500,000 ringgit (123,000 dollars) and jail of up to six years. 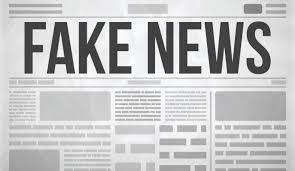 Co-opted by U.S. President Donald Trump, the term “fake news’’ has become part of the standard repertoire of leaders in authoritarian countries to describe media reports and organisations critical of them. Germany approved a plan in 2017 to fine social media networks if they fail to remove hateful postings. Other leaders, who were opposed to Najib were also charged under the act.